The Center is situated in green area ca. 300 m from a sandy beach in the sea park strip. It is a splendid place for people valuing relax and quiet. CRR KRUS NIWA offers 318 beds in comfortably and functionally equipped rooms. CRR KRUS NIWA carries out all year round treatment, rehabilitation, and rest activities connected with disorders of motor organs, cardiovascular system and respiratory system. Accompanying diseases treated at the Center are: diabetes and thyroid disorders. We provide all day round medical care. NIWA is adapted to accept guests with limited motor abilities. The Guests have at their disposal: a spacious café, billiards, a swimming pool with jacuzzi, a sauna, a solarium, a hairdresser’s saloon, a cosmetic parlor, a gym, rehabilitation rooms, and an internet booth at the reception plus wireless internet access. 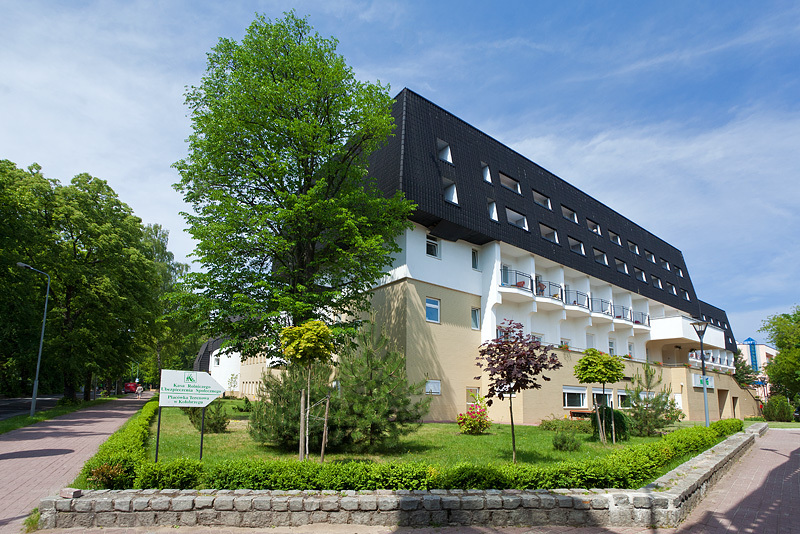 Our Center offers modern and the best equipped treatment facilities in Kołobrzeg. We provide a wide variety of rehabilitation treatments there. Kinesitherapy in our Center is provided by personnel with master’s degree in physiotherapy. You can take individual exercises with the use of UTC, exercises with equipment, group exercises including cardio and respiratory, and exercises in the swimming pool. We encourage you to use the swimming pool area where, besides exercises, the swimming pool, the sauna, and the hot tub are available for recreation in the afternoons.